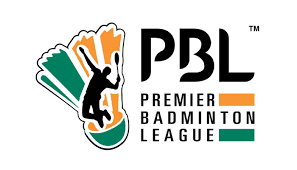 Premier Badminton League (PBL) on Saturday announced that Bollywood superstar Akshay Kumar will be the brand ambassador of the January 2-17 tournament. "We welcome Akshay Kumar as the brand ambassador and his association with the league is in line with our focus to create the required excitement. His presence will not only attract sports lovers but even excite the players," PBL chairman Akhilesh Das Gupta said. On his part, the actor said: "I have always believed in associating with sports and this league is yet another platform for me to showcase my support. Badminton has given us reasons to rejoice for years now and I am very excited to meet the young stars who have conquered many feats on the court." Six franchisees -- Delhi Acers, Hyderabad Hunters, Bengaluru Top Guns, Chennai Smashers, Mumbai Rockets and Awadhe Warriors -- will compete for the trophy.